The Game Just Got Upgraded! The inflatable beer pong hats come with two hats, does NOT INCLUDE cups and ping pong ball, come in the only hat. 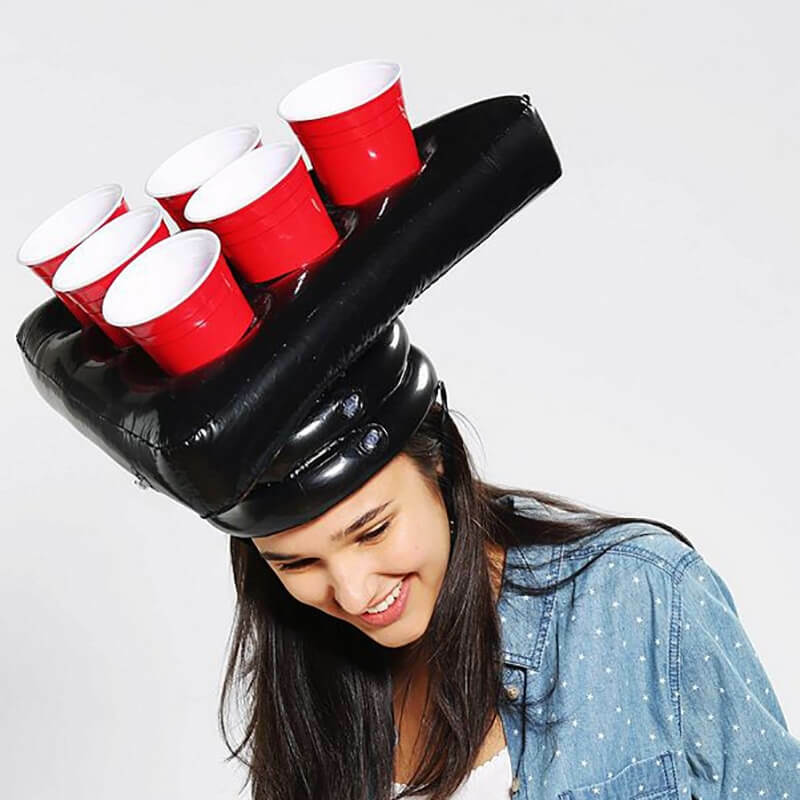 The inflatable beer pong hats are one size fits most, and each hat will hold up to six cups. 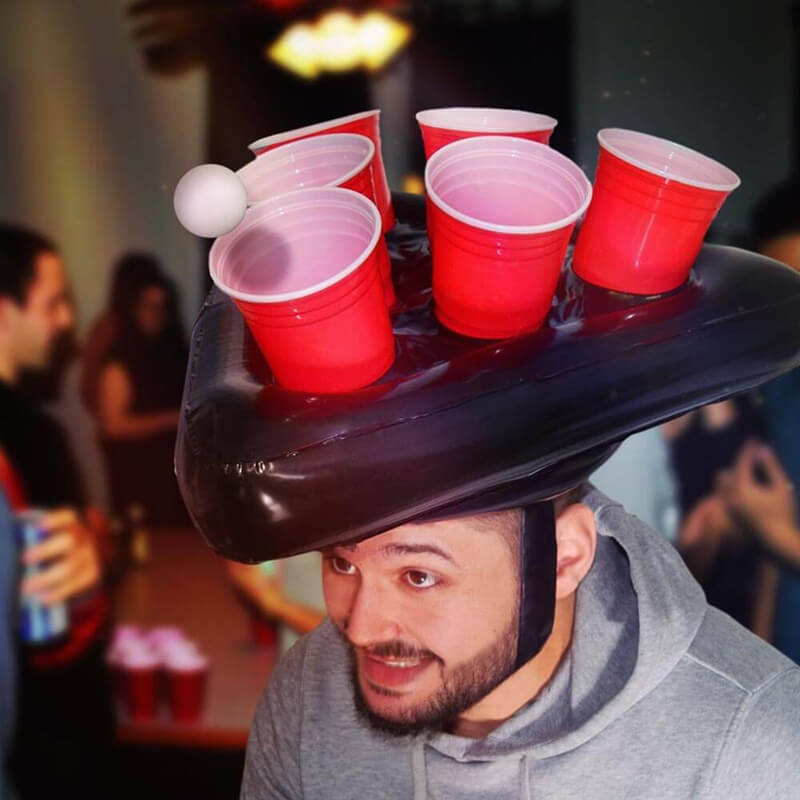 The inflatable beer pong hats are made from vinyl and plastic, Simple and easy to use, as well as quick to inflate. 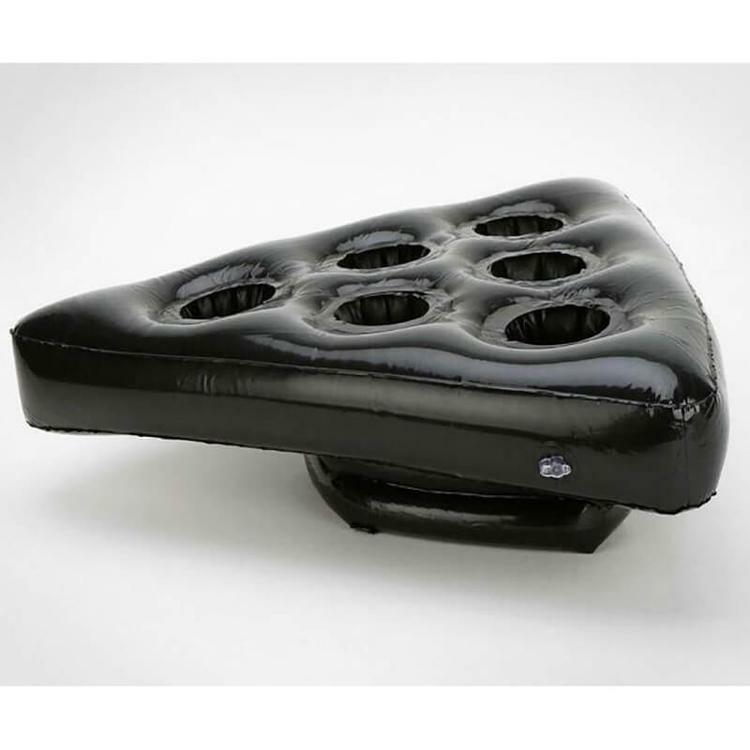 Easy to store: The entire set is completely inflatable making it easy to store and carry. Perfect for classrooms, pools, marketing displays and more. When finished playing inflates the air and store until next time.